I just wanted to give a quick reminder that tomorrow is the last day to take advantage of the Patio Party “Have Your Cake” promotion when you sign up with Stampin’ Up! So, not only do you get to build your own starter kit – so $125 worth of your choice of product for only $99 – but you’ll get the Make a Cake stamp set, Patio Party designer series paper, and the Patio Party digital collection DVD free too! Oh and the Holiday “mini” (the new seasonal catalogs are 8 1/2” x 11” so they aren’t so mini anymore) preorder starts in July…so you can get in on that too! or shoot me an email at jennifer@nwstamper.com and we can chat and answer all your questions! Every year there is a pack of designer paper that I completely overlook until I get the paper in for my new catalog DSP paper share. Then, as I pull out the sheets to cut it down to 6×6 pieces, I discover some hidden gem. 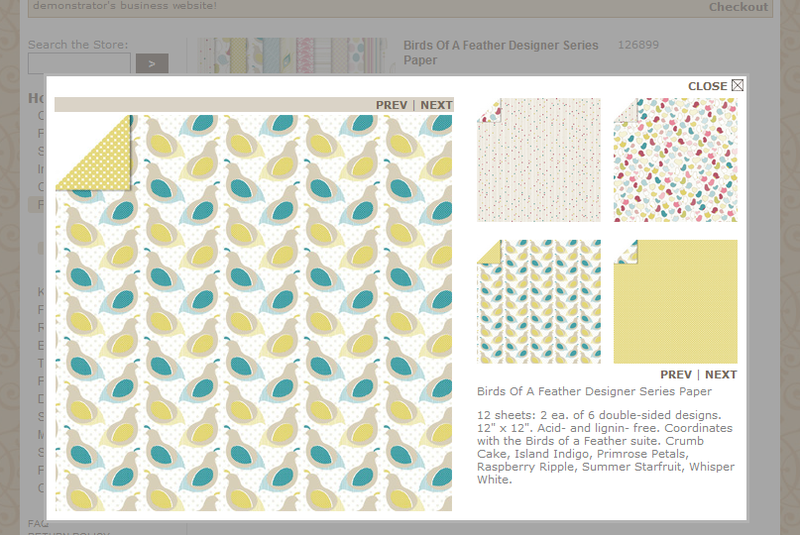 This year, Birds of a Feather is that paper pack! So, I wanted to make some thank you cards for folks who ordered at a recent workshop, and so I pulled out this paper and started playing around. And since I was so torn on which pattern of the paper I liked more for this card, I had to make a second version with a different pattern from the same pack. I don’t know if it is the colors or the “cute” feel from these designs, but I’m totally digging this paper set! 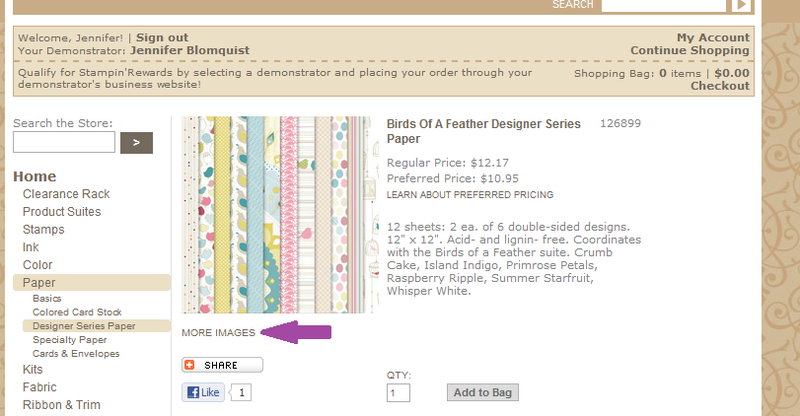 If you click the “More Images” link under the picture, you can flip through bigger pictures of each of the patterns! I know it took me a while to figure that out so hopefully that helps someone else! When I was asked recently to put together a card using Watercolor Crayons, I wasn’t sure how it was going to go; but I decided I was up for the challenge. 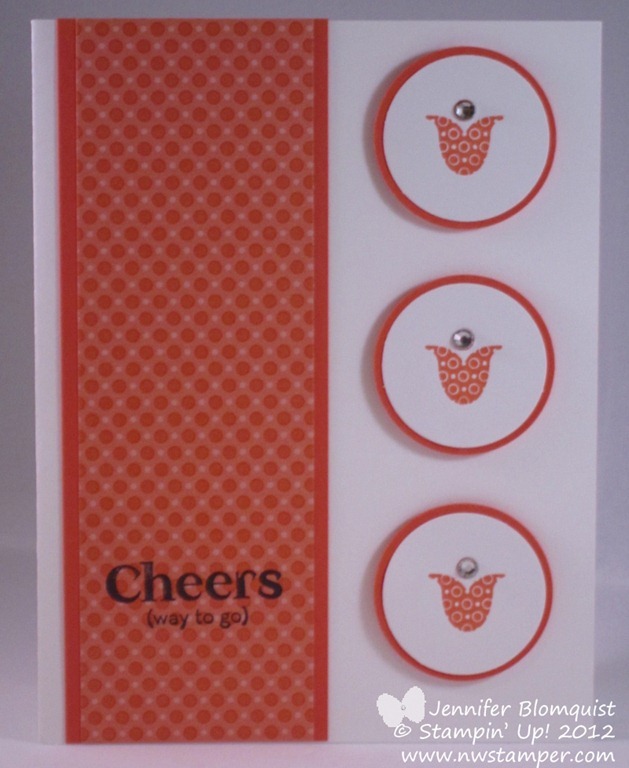 The person really liked a card by Meg Loven using the Simply Soft set and so I looked around my craft room and spied the new Reason to Smile stamp set (its coming out in July as part of a special promotion where you can get it for only $5 with any $50 order!). It is a new 2-step stamping set and I thought it would be fun to try with the crayons. I used the Watercolor Crayons two different ways: coloring directly onto the stamp (for the petals and stem) and picking up color from the crayon using a waterbrush and coloring on the paper. 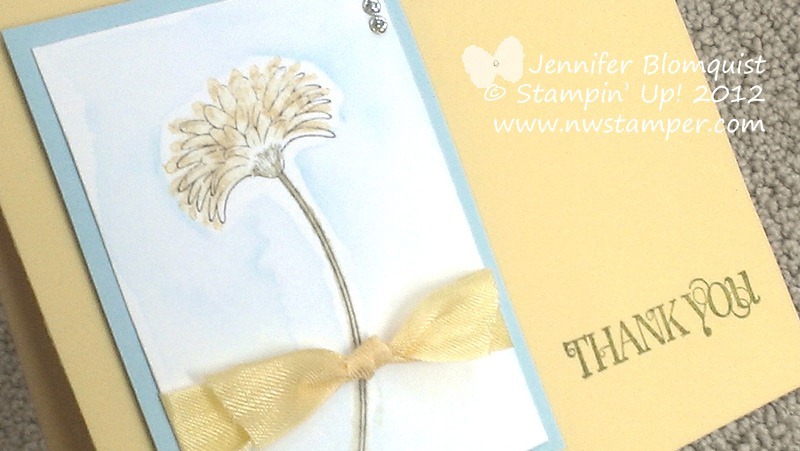 I have to say, making this card has renewed my love affair with Watercolor Crayons! Thanks to this tip from Meg, I had MUCH BETTER success coloring on my stamp. I grabbed my aqua pen for the first time in ages – I normally am loyal to my blender pen – and moistened the surface of the rubber before I colored with the crayon. Boy does that help the crayon color nicely on the surface! Then you can stamp and it is super pretty. I then brushed my aqua pen along the back of the crayon (the flat end) and then used that to paint color around my stamped image on the paper. Doesn’t it give such a pretty look? The only other tip I have for you today, is if you are going to color on your paper like I did with the blue, you really really want to be using watercolor paper! You will be using so much water doing this that regular cardstock will warp a lot. I recently had someone request that I put together a class for her and some friends based around a few cards she had seen online. Unfortunately, one of the cards used the old Strength and Hope stamp set that retired last year and I had never purchased. 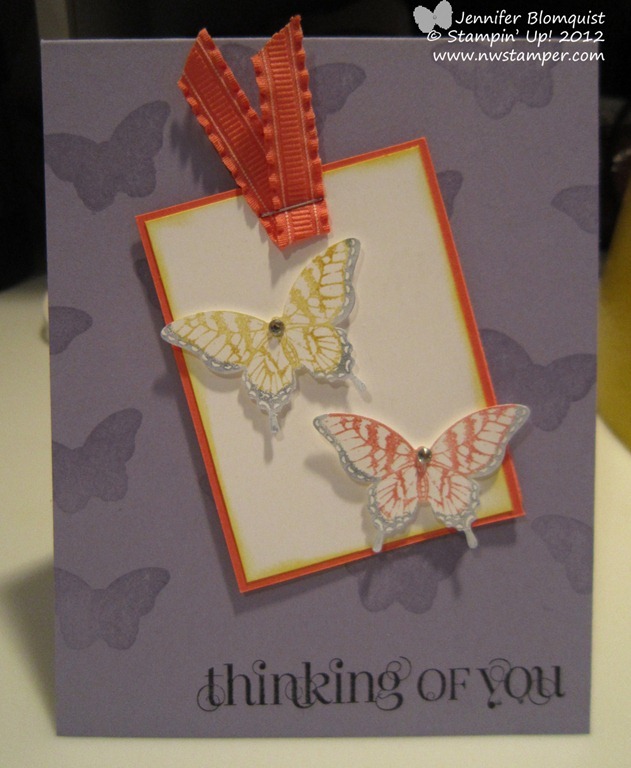 So, I set to trying to come up with a fun, similar card using the new Papillion Potpourri stamp set and matching Elegant Butterfly punch. This was my first time using this stamp set and punch and I was pleasantly surprised at how versatile I found the images to be. For some reason, I didn’t expect the differences in style you get from the different butterflies in the set. Anywho… aren’t these butterflies so pretty? 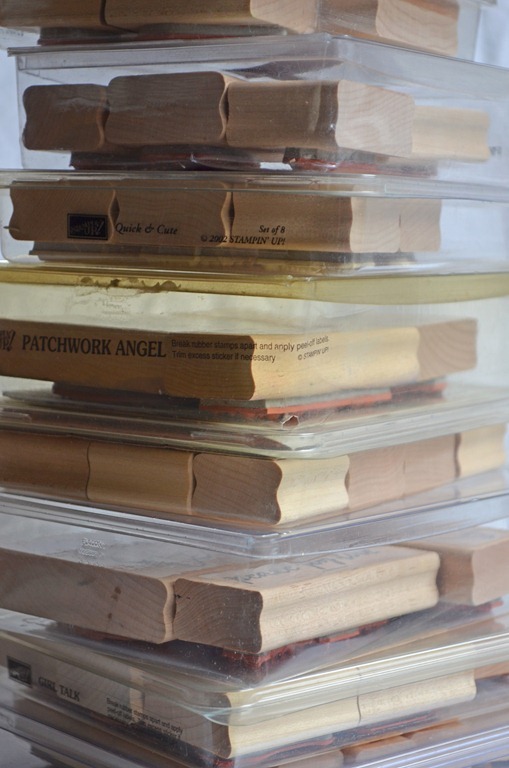 One tip that I learned when stamping and punching the center butterflies – the punch is just slightly smaller than your stamped image. Often the punch is a teensy bit bigger than your image but not in this case. It didn’t impact my final punched out image, but caught me offguard when I was trying to line up my stamped image on my paper with the punch outline. So, I thought I would share. I spent so long working on this card one night – tweaking this and that – that in the end I wasn’t sure I liked it. But now that I’ve had some space, I like it more. 🙂 Would this be a card you would want to do in a class or workshop? Well, I’m off to make more samples and get my July and August classes up on the calendar! I know, the lighting isn’t the best in that picture so, here is another picture and you can see that how crisp the Tangerine Tango and the Whisper White look together. Oh and did I mention how fun I think it is that the pattern in the stamp set matches the pattern in the Summer Smooches designer paper. 🙂 I know I can’t be the only one who loves coordination like this. So, I’d love to hear, what do you think of this stamp set, thumbs up or thumbs down? Crafty Garage Sale Extras are Up! If I find more in my craft room as I’m digging around, I will post them as I find them. But for now, take a look and let me know if you see anything that you would love to take home! In case you haven’t heard, today is Father’s Day. 🙂 I’m lucky enough to have my dad a short 90 minute drive away so this weekend the kids and I are headed to Bellingham to spend some time with him. So, hopefully you are able to spend some quality time (or quality phone time) with some of the wonderful guys in your life. 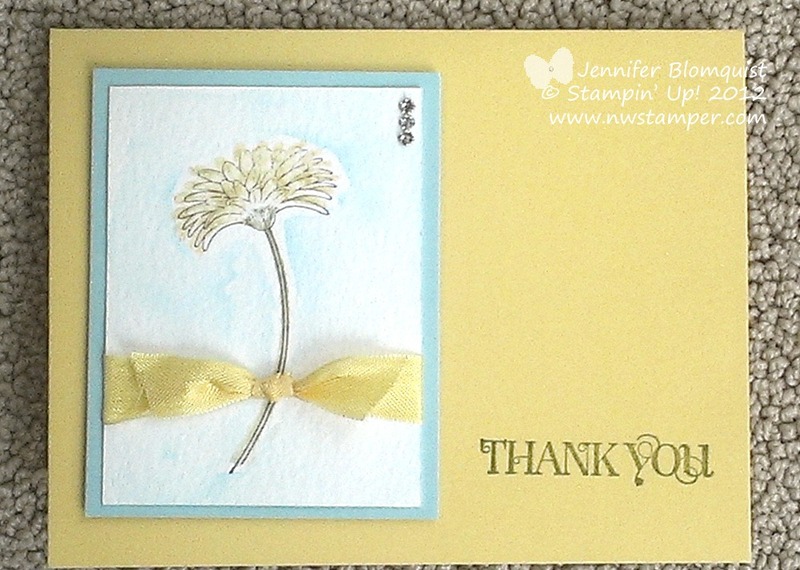 I was inspired by a non-Stampin’ Up! card I saw on Splitcoast Stampers that had a cool vintage look. 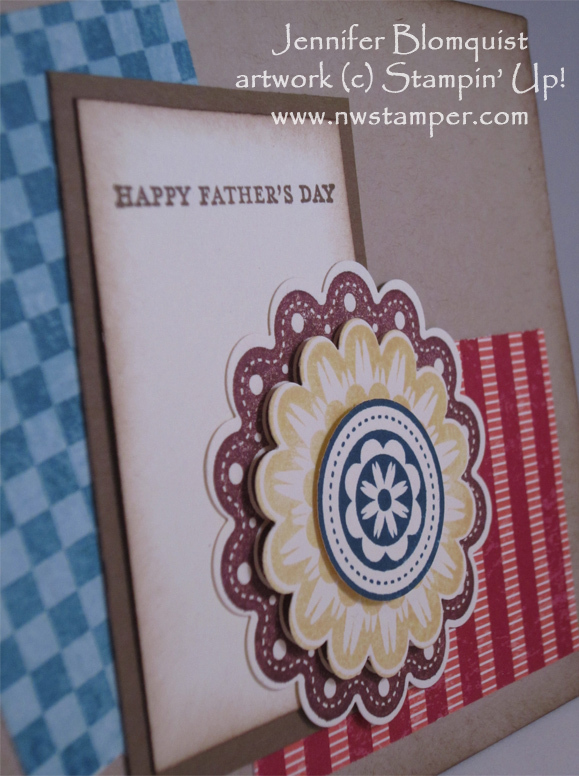 So, I grabbed some of the new World’s Greatest designer series paper and a sponge wedge and got to work creating a vintage card for Dad. See, this just proves that you can use the Quint-Essential flower for a guy card too. 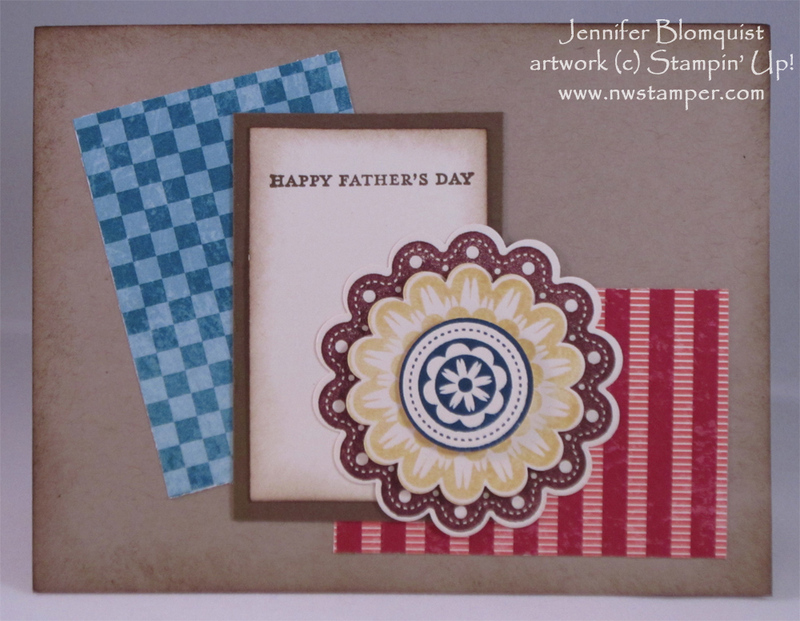 I used more “manly” colors – Bravo Burgundy, So Saffron, and Midnight Muse for the flower and sponged the edges of the card and the Very Vanilla cardstock with Soft Suede. 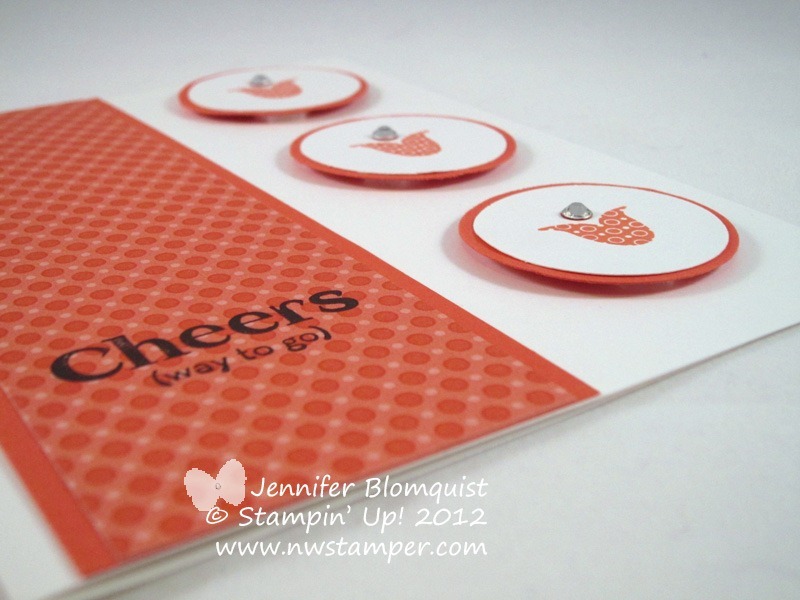 And of course, gave it dimension by popping up the different layers with Stampin’ Dimensionals.